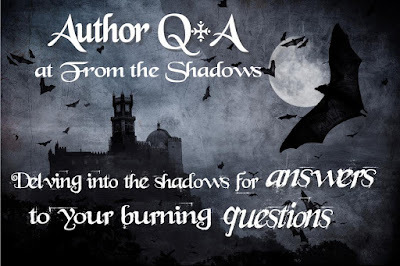 Please welcome today's paranormal guest author Darynda Jones. Darynda is the author of the Darklight series (Death and the Girl Next Door, Death, Doom and Detention, Death and the Girl He Loves) and the Charley Davidson series (First Grave on the Right, Second Grave on the Left, Third Grave Dead Ahead, Fourth Grave Beneath My Feet, Fifth Grave Past the Light). Darynda: I’ve been writing since before I could write. I think I was born making up stories in my head. I didn’t know I wanted to BE a writer until I was in high school, but I wrote anything and everything I could from the time I was a kid. Plays, poems, song lyrics, news articles, short stories . . . you name it, I’ve written it. Darynda: I’ve just always been fascinated with the paranormal realm. When I was about five, a male cashier at a store dressed up as Dracula. He gave me that deep, eternal stare and kissed my hand. I’ve been lost ever since. Darynda: Oh, so many to choose from! I think I would like to be indestructible/immortal. Seeing history in the making for centuries would rock. 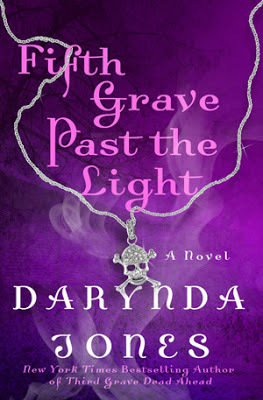 Darynda: My next release will be Fifth Grave Past the Light, the fifth in the Charley Davison series. I think readers will enjoy it because it is a tad creepier than the previous books and a lot hotter. Fans of Reyes Farrow will be pleased. Darynda: Hopefully this will happen someday. The rights sold to CBS for the CW a while ago, so if they were to ask me who would play the roles, I would love to see Jason Behr as Reyes. I wrote specific scenes (not saying which ones) with him in mind. Charley is a little harder. I recently fell in love with Analeigh Tipton, the best friend in Warm Bodies. I love her timing and she’s just a cutie. Thank you Darynda for joining us here today at From the Shadows! To learn more about Darynda Jones and her books, please visit her website. I love Darynda and the Charley Davidson series! I'm so looking forward to 5th Grave!!! OMG, creepier and hotter? I can't wait to read it. I'm in need of more Reyes Farrow! I can't wait for Fifth Grave to come out! Darynda Jones is one of the best authors out there! July so needs to be here now! Charley, Reyes, & the rest of the gang are so cool & I cannot wait to dive into the next adventure of the Charley Davidson series. Darynda Jones is a fantastic author! Honestly, Darynda is one of my favorite authors. I fell in love with her characters in the bookstore after the second chapter. I can't wait for the next book in July! Great interview. Even more excited for the next book now!! !